Deciding when it’s appropriate to supplement a flocks’ diet with additional vitamins requires basic knowledge of vitamins and their interactions. The decision should also take into account all of the environmental factors of the flock, such as heat, cold, type of housing, and stresses within the flock. The purpose of the flock (for example, pets, meat, eggs, or breeding) will also play a role supplementation decisions. Other factors to consider are stresses associated with handling, moving, vaccination, breeding, and disease. Different flocks will all have different nutritional needs that may or may not require the use of vitamin supplements. You should also consider variables that may affect the quality of your flock’s feed, such as weather. For instance, excessive rain during growing and harvest can lead to higher levels of mold in corn and other ingredients. The age of the feed is also critical to its nutritional viability; vitamins are sensitive to changes in pH, light, and heat and can lose potency when exposed over time to the trace minerals and additives that feed sometimes contains. Vitamins are generally categorized into two groups: water-soluble and fat-soluble vitamins. Water-soluble vitamins are eliminated from the body more quickly and are not affected by fats in the bird’s diet. Water-soluble vitamins include B1 (thiamine), B2 (riboflavin), B3 (niacin), B5 (pantothenic acid), B6 (pyridoxine), B9 (folic acid), B12 (cobalamin), H (biotin), and C (ascorbate). Because water-soluble vitamins are metabolized rapidly, with the excess excreted through droppings or urine, it’s important to be sure the feed you use is the best available. Adequate supplies of the water-soluble vitamin group must be available on a daily basis to prevent deficiency. 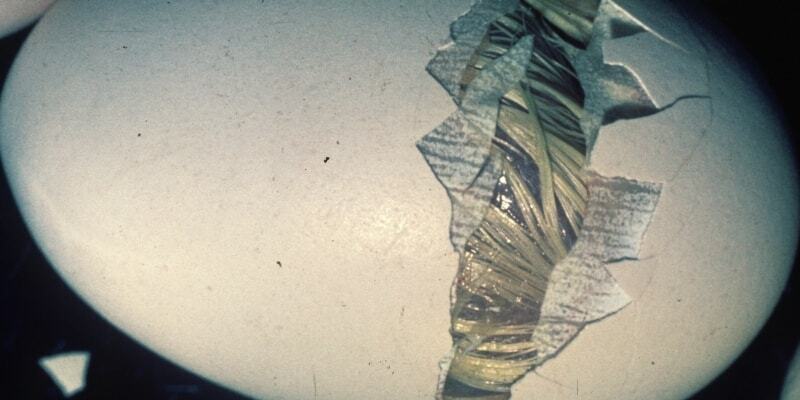 While a low vitamin C intake would not constitute a deficiency because birds can synthesize this vitamin, a lack of vitamin C would manifest itself in slowed growth and weak eggshells. Fat-soluble vitamins are so called because of their association with the absorption of fats in the diet. The vitamins in this group include A, D, E, and K. This group is a bit more forgiving because the bird can store what it doesn’t use in various parts of the body, like the brain, liver, and other tissues. In spite of this storage capability, deficiencies are still possible. Take care not to over-supplement, however, as vitamin toxicity can occur over time. Although it happens more slowly than with water-soluble vitamins, the body also excretes fat-soluble vitamins through the feces, urine, or bile. People have been using vitamins to help treat disease for many years, but why would modern flock keepers choose vitamins over drugs? First, many of the drugs used in the past are no longer on the market. Pathogens have developed resistance to others, and still others have seen skyrocketing costs. 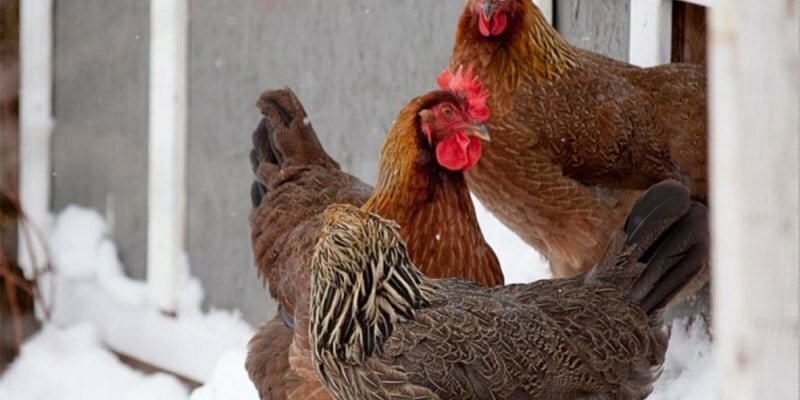 Vitamins offer a reliable and affordable way to ensure that your birds have all the resources they need to most effectively fight disease with their natural healing mechanisms. Let’s look at vitamin E to stimulate birds’ immune systems. Research shows that birds that are deficient in vitamin E experience depressed antibody production and impaired immune response. This means the ability to fight disease is greatly reduced in vitamin E-deficient birds. While vitamin E deficiency doesn’t always present textbook signs, symptoms like inadequate responses to drug therapy or vaccinations can indicate a lack of vitamin E. Another way to identify vitamin E deficiency is through an antibody titer test, a blood test that shows the amount of antibodies circulating in the bloodstream. How Does Vitamin E Fight Disease? It is generally accepted that vitamin E plays a role in protecting leukocytes and macrophages during phagocytosis—a process by which cells surround and “eat” an invading microorganism—by helping these white blood cells survive the toxic products that are produced when they kill ingested bacteria. Vitamin E also stabilizes and regulates cell membranes to help maintain optimal function. Vitamin E plays an important role in the breakdown of vitamin C and in the metabolism of sulfur-containing amino acids—the building blocks of life. Vitamin E also helps metabolize vitamin B12, an important component of hemoglobin. What Benefits Can Vitamin E Supplements Provide? Studies of vitamin E supplementation have been encouraging. Chicks given high doses of vitamin E were shown to be protected against E. coli through increased phagocytosis and antibody production. Birds receiving a diet fortified with vitamin E had a less than 5% mortality rate from E.coli compared to 40% among those receiving no supplement. In another study, chicks were fed a diet enriched with Vitamin E, then exposed to coccidiosis. They experienced weight gain and reduced mortality rates—even in the face of a severe coccidiosis challenge. Additional studies have shown that birds on vitamin E-supplemented diets experienced increased antibody production and produced antibodies earlier following vaccination than birds that did not receive supplements. Baby chicks fed a diet supplemented with 225 international units (IU) to 450 IU of vitamin E daily were less susceptible to infection from bacterial diseases and had lower mortality rates than did the non-supplemented controls. How Much Vitamin E Should I Use? Studies have indicated that the range of safety for vitamin E is quite wide; chickens have shown the ability to tolerate between 450 IU to 900 IU per pound of feed well. Vitamin E is stored in all body tissues with the highest concentrations found in the liver. While vitamin E toxicity is possible, it’s not common. Symptoms include depressed growth rate and an increase in the time it takes blood to clot. If you suspect vitamin E toxicity, this can be corrected with vitamin K.
How Do I Calculate Dosage? It’s important to understand how much vitamin E is in your supplement so you can determine the appropriate amount to feed your flock. If you use wheat germ oil for vitamin E supplementation, be sure to obtain high quality oil. Some manufacturers use a blend of wheat germ and soybean oils to reduce costs. High quality, non-blended wheat germ oil contains approximately 100 IU of vitamin E per ounce. When evaluating water-soluble vitamin packs, remember that all calculations on the package are based on a one-pound (16 oz) sample. For example, if the package states that it contains 8000 IU of vitamin E and the bag weighs four ounces, divide the 8000 units by four to establish how much vitamin E is contained in that four-ounce package. In this case, each four-ounce package would contain 2000 IU. When encountering vitamin E content expressed in milligrams, use this simple formula to convert it into IU: number of milligrams × 1.49 = IU. So, if your feed contains 50 milligrams of vitamin E per pound, multiply 50 by 1.49 to get 74.50 IU per pound. Calculations for converting other vitamins vary. This international units converter can help. 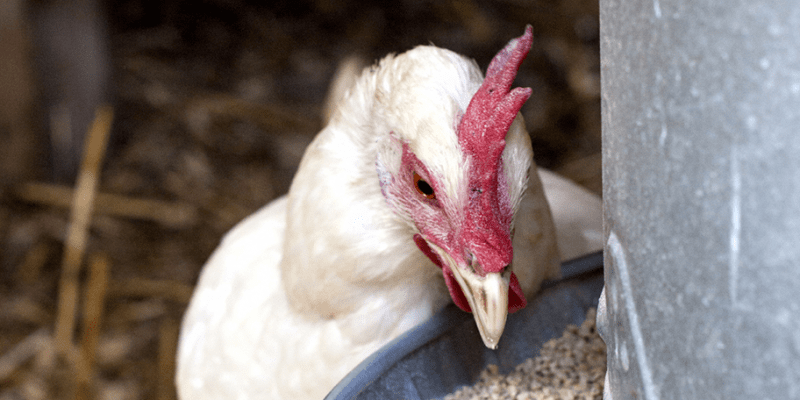 Since most poultry feeds contain low levels of vitamin E, consider supplementing your birds’ diet after determining the vitamin E content of the feed. Vitamin supplementation can be a safe and cost effective way to enhance the health of your flock. 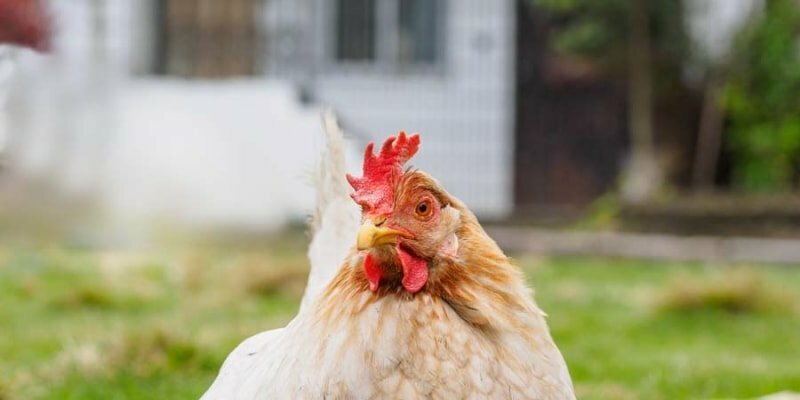 By paying attention your birds’ environment, physical condition, and feed composition, you can use additional vitamins to help your chickens fight off disease and avoid problems associated with deficiency.